Pharmacy technicians serve on the front lines of care in community and institutional pharmacies. They assist pharmacists with the receiving, preparation, and dispensing of prescription medications to customers or health care providers. While there are numerous sectors that employ pharmacy technicians, the majority of the workforce is employed in hospitals and retail pharmacies. Common duties include gathering all the data essential to the preparation of a prescription, calculating and measuring the amount of medication required to fill a prescription, packaging and labeling medications, and accepting payment for the medication and filling out insurance forms to collect payments. 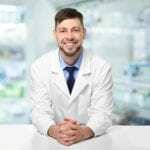 Technicians might also manage the inventory of medication and prepare purchase orders to replenish stock, input customer data into the pharmacy database, answer the phones, manage duties related to the daily operation of the pharmacy, and refer customers to the pharmacist if they have specific queries related to the medication and its use. Pharmacy technicians perform much of the same duties as a pharmacist. 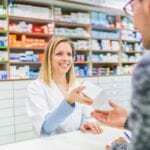 However, their training is limited in comparison, and the pharmacist must review the prescriptions prepared before they can be dispensed to the customer. Technicians employed in a hospital may perform more technical duties than a community pharmacy technician. They will work with a wider variety of medications, such as IVs, and use automated dispensing machines in the preparation of prescription orders. Technicians also use their training to compound medications and contact health care providers to authorize prescription refill requests. Kansas Pharmacy Technicians earned a mean wage of $31,660 per year according to the Bureau of Labor Statistics. The BLS projects a 12% growth rate in employment for pharmacy technicians through 2026. Allen Community College’s pharmacy technician degree prepares students for employment in the pharmacy business or the pharmaceutical industry. Graduates will receive a pharmacy technician applied science associate degree that indicates their ability to maintain medical records, assist with prescription medication orders, distribute over-the-counter products, and refer customers to the pharmacist. The recommended sequence of courses is computer concepts and applications, medical terminology, introduction to pharmacy technician, pharmacology for pharmacy technician college career success seminar, and fine arts and humanities elective. The second semester will cover principles of biology with lab, basic nutrition, customer service, natural healing with herbs, and pharmacy calculations. The sequence of courses in the third semester includes business mathematics or essential mathematics, business communications, interpersonal communications, pharmacy operations, and general psychology. The final semester covers human relations in business, hot topics in women’s health, advanced pharmacy operations, pharmacy technician internship or pharmacy technician topics, business or computer elective, and health and physical education elective. Each semester covers approximately 15 credits. Students must complete a total of 60 credits to graduate with the associate in applied science. Three modules will be delivered online: Introduction to Pharmacy Technician, Pharmacology for Pharmacy Technicians, and Pharmacy Calculations. Tuition costs $60 per credit hour and does not include student, technology, and book rental fees. Students who successfully complete the pharmacy technician program at Johnson County Community College will have the competency and knowledge to function as caring professionals in the dispensing of medication under the direction of a licensed pharmacist. They will be eligible for entry-level employment in community or institutional pharmacies. The entire program covers 345 hours including the 150-hour pharmacy externship. Course modules include Pharmacology for Pharmacy Technicians, Pharmacy Practice, Pharmacy Calculations, and Pharmacy Technician Lab Course. Prerequisite courses are Anatomy and Physiology, and Medical Terminology: A Word Association Approach. In addition to the comprehensive preparation for employment, students will benefit from small class sizes, hands-on lab experiences, an externship at a leading affiliate which may lead to employment, and experienced instructors. Graduates can apply to sit a national exam for Certification as a Pharmacy Technician. Admission is selective, so candidates must complete the prerequisites before submitting an application. Students are selected on a first come first served basis. Tuition costs $2,495. Additional costs for books, background check, supplies, TB test, immunization, physical exam, and drug screen will cost approximately $1,000. The pharmacy technician program at Rasmussen College includes instruction in the theory of pharmacy practice to help graduates assist a licensed pharmacist with the receiving, interpreting, entering, and filling of prescriptions. Graduates will receive a Pharmacy Technician Certificate and will be able to use pharmacy software to manage and process medications and value honesty and integrity in practice. They will understand medical terminology especially as it applies to pharmacy, medical law and ethics, pharmacy math, and patient confidentiality. The Pharmacy Technician Certificate requires completion of 38 credits of Developmental Education Courses, General Education Courses, and Core Courses. Course modules are Reading and Writing Strategies and Practical Math for Developmental Courses and Introduction to Communication and Structure and Function of the Human Board for General Education Courses. Core courses include Career Development, Customer Service in Healthcare, Medical Terminology, Medical Law and Ethics, Foundations of Pharmacy Practice, Pharmacy Calculations, Pharmacology for Technicians, Sterile and Non-Sterile Compounding, Pharmacy Technician Capstone, and Pharmacy Virtual Practicum. The program can be completed in 44 weeks. Tuition for the program is $11,980. Books and supplies cost an additional $360.